Please note: The dinner discussed below is sold out as of May 7, 2014. One of our favorite local chefs is Luciano Del Signore at Bacco Ristorante in Southfield. So we’re pretty excited to announce that our own Andy Hollyday and Luciano will be doing a six-course collaboration dinner at Bacco on Friday May 9 and Saturday May 10. Tickets are only available online and will go on sale Thursday, April 24th, 12:00pm at www.seldenstandard.com/baccodinner. Each seating can accommodate 60 guests. Tickets are first come, first served. Bacco is a restaurant we’ve always enjoyed. And they’re a perfect partner for an event like this since there’s a similar approach in the kitchen — namely great ingredients, honest flavors, and scratch cooking. So naturally, the meal will highlight fresh spring vegetables and flavors. We hope you’ll join us for what promises to be an awesome night. It seems there are still a few chilly days left in 2014. If the mood strikes you for a cold-weather meal, here’s a stew that might suit you. Earlier this winter, Andy was playing around with kind of a Mediterranean approach to this one-bowl dish using lamb and spices – tons of flavor and perfect with just about any beer. Eat this “as is,” or if you want to load this up with toppings, try feta, scallion, and baked pita chips instead of the usual cheddar, onions, and so on. Or hell, just crumble up some Fritos on top. It’ll be delicious either way. Season the meat with salt and pepper. Put a 5-1/2 quart Dutch oven or large pot over high heat, and add oil to the pan. Brown lamb in batches, removing with a slotted spoon, and set the lamb aside. Reduce heat to medium and add the onion, peppers, and garlic to the pan. Season with a pinch of salt and cook for five minutes until they begin to soften. Add the flour and spices and stir for 30 seconds. Whisk in the stock, then add tomato and bay leaves, bringing to a simmer. Cook for 1 hour at a low simmer, inhaling deeply to remind you of how awesome this is going to be. Add chickpeas and simmer another 30 minutes. If the lamb is super tender, it is done. if not, continue simmering checking every several minutes until it’s shredding apart. Adjust seasoning with salt and pepper. Serve in warm bowls and garnish with a big dollop of yogurt, a sprinkle of fresh herbs, and a lemon wedge. If you really like your guests, set out some additional toppings for them too. 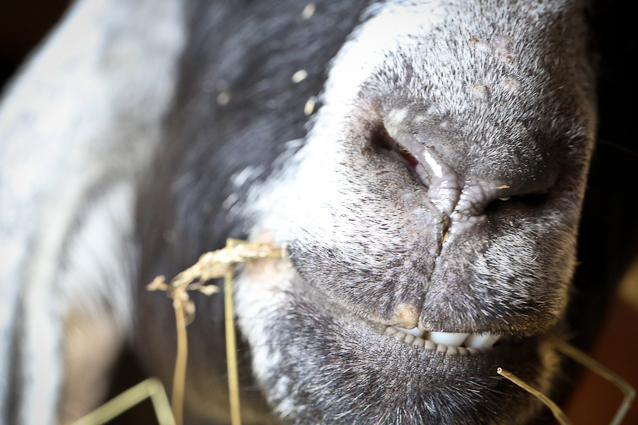 Full Circle is a USDA-certified organic farm specializing in grass-fed lamb – their website describes animals “of superior genetic and culinary quality.” We’ve tasted the meat and heartily agree with that assessment. But what makes it superior? What’s the real distinction between one organic lamb and another? It would be easy to resort to the clichés – “oh, well, it’s local” or “it’s humanely raised” or “twelve masseuses rub them down every day.” But we wanted to know how it really works, so we drove out to the property, which is close to Howell, Michigan, to see first-hand. To say that the animals are treated well would be an understatement: The owner and her colleagues clearly love these animals, and their comfort and quality of life is paramount. Even in the barn, they’re given a surprising amount of room to roam freely, and access to hay and fresh water is plentiful. It’s also the cleanest animal barn we’ve ever seen. 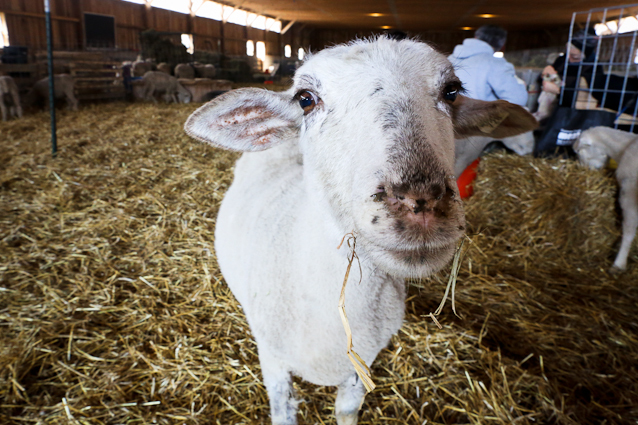 We were honored to be granted a glimpse of said barn, which is where the lambs (and a few goats) spend the colder months and is home to a lot of their proprietary lambing practices. They work with a few breeds, including Ile de France and Persian, among others. 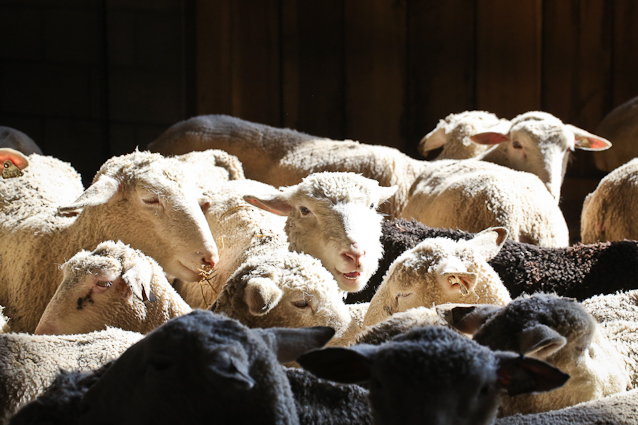 Each of the few hundred lambs is closely tracked to ensure the genetic characteristics they’re looking for. Those that don’t measure up are removed from the breeding pool. It wasn’t surprising to see that musculature and other physical traits were routinely tracked – but the farmers at Full Circle are committed to raising animals that mother their young well. That behavior is closely monitored and ultimately encouraged. It’s a crucial part of how they raise the animals before they’re set free to roam. They spend the late winter months in the barn and are later let out to pasture – rotated between different zones across the property’s 300+ acres. The lambs never eat grain, seeing only plants both from the grounds and from hay they produce on-site from their own grasses. Grazing animals will eat from a wide variety of plants over the course of the season – wild grasses, bergamot, and wild onion, for example. 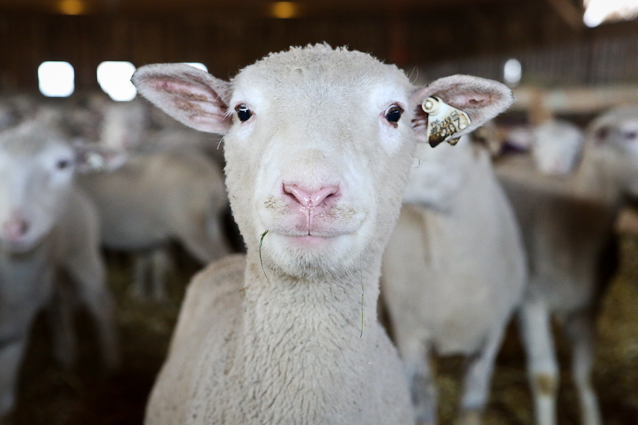 Clearly, the lamb’s deliciousness is derived from ethical treatment and exquisite diet. These are exactly the types of animals we’re looking forward to serving at Selden Standard. Someone asked us the other day if we were concerned that showing potential customers pictures of insanely adorable lambs would turn some away from eating them. But we think that knowing an animal has had a good life is a crucial part of celebrating what’s at our table. And as discerning omnivores, we’ll be grateful to have the opportunity to serve them to those who enjoy high-quality meats.